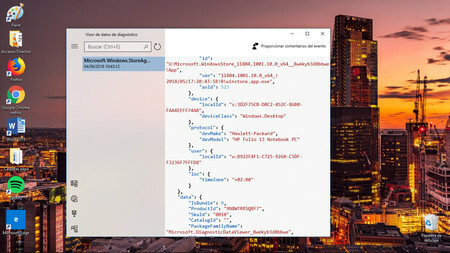 A few days ago we saw how we could manage the permissions of the different applications that we have installed on our Windows 10 computer. The steps were very simple and today we go one level further. We will see how to manage privacy in our team . This is one of the improvements that Windows 10 April 2018 Update releases and that allows us to determine what type of data we send and we can do it in the same way that we do when we first start the operating system. Basic Option : basic data is sent about the configuration that we use and the functionalities that we use. Complete option : together with the previous ones, we send data relative to the applications that we use or our web browsing. Another one of the options that we see is the relative one to the shipment of the “Data of entered manuscript” . These data are those that are generated when using a stylus on the screen to make annotations. Another option is related to “Customized experiences” by which the system identifies the use we make of our equipment and recommends applications that we do not have installed in the start menu. Another option is the so-called “Diagnostic data” , a submenu that gives us access to the option “Diagnostic data viewer” . If we activate it, we can see the data that we have sent to Microsoft, information related to the use of Windows 10. For this we must download a tool that will allow us to access said data. These will be more or less depending on what we have selected above: basic or complete. What we see may like more or less and if this last case is what we do not, Windows 10 offers an access that with the name “Delete” allows to delete this data from Microsoft servers . This is an improvement that is now more important than ever with the entry into force of the General Data Protection Regulation (GDPR) . Next Post: Did you expect to play Halo 5 on PC?